This article is an opinion based on facts and is meant as infotainment. 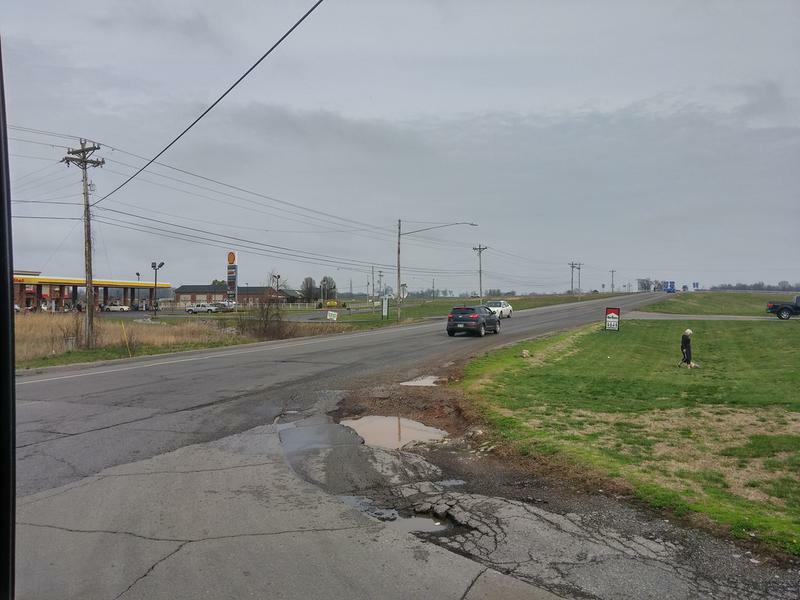 It is our fifth time ranking the most dangerous places to live in Kentucky and is updated for 2019. Do you live in one of the most dangerous cities in Kentucky? No one wants to feel unsafe, and statistically speaking, odds are that where you live is most likely relatively safe. In order to help the good people of Kentucky — and anyone looking to move to Kentucky — know just how close they are to danger, we took data from the annual FBI report and did some serious analysis. 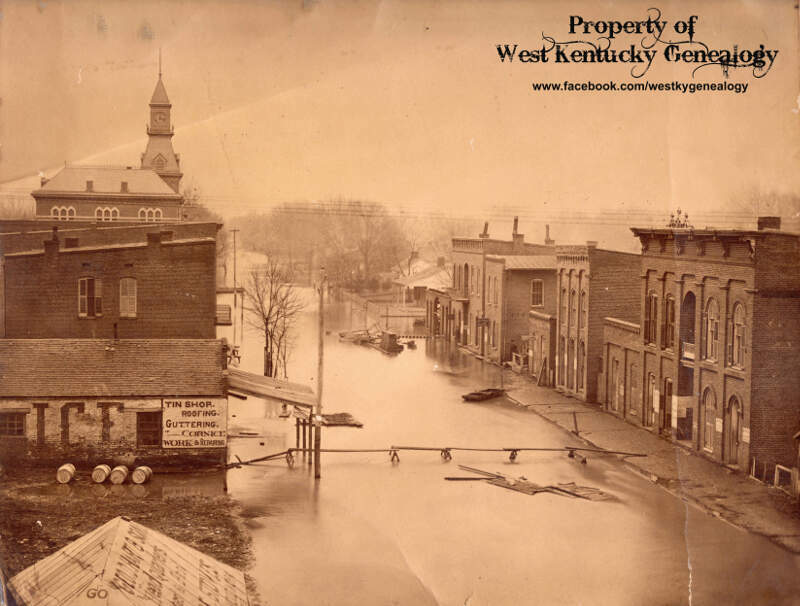 So what is the most dangerous city in Kentucky? 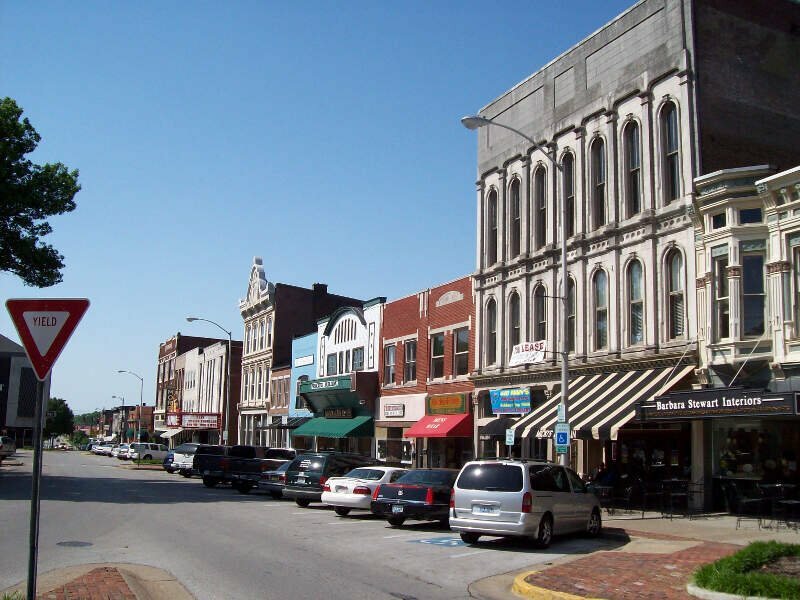 After analyzing 74 cities in Kentucky, Oak Grove takes the top spot as the most dangerous city in Kentucky based on the most recent FBI data. Or learn more about the safest places in Kentucky. Oak Grove experienced a rise in violent crime between 2015-17. Still, the 1 in 216 chance Oak Grove residents faced of being the victim of violence in 2017 is still lower than other places in the state. Meanwhile, you have a 1 in 17.7 chance of being the victim of a property crime, making Oak Grove the 3rd worst city in Kentucky with regards to theft and arson. 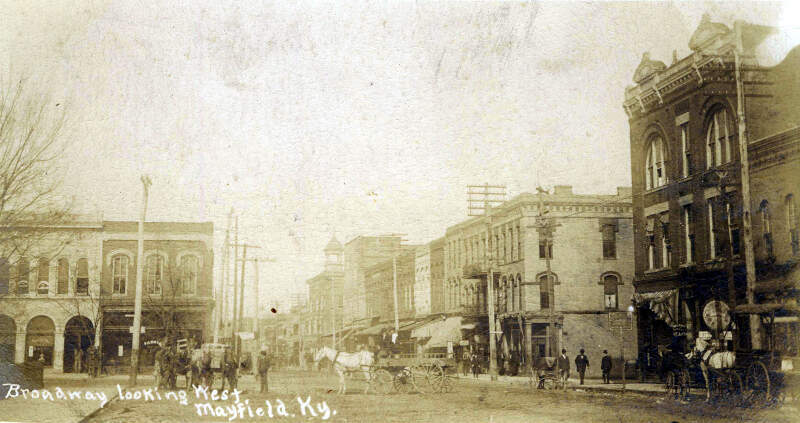 Located in Graves County., Mayfield is the 2nd most dangerous city in Kentucky. With residents facing a 1 in 256 chance of being the victim of violence in 2017, Mayfield it earns a spot on the most dangerous places in Kentucky. Louisville is the 1st most violent city, with residents facing a 1 in 154 chance of being the victim of violence in 2017. Progress has been made in recent years, however, reflected by a 12% drop in violent crime, and an 11% drop in property crime between 2015-17. 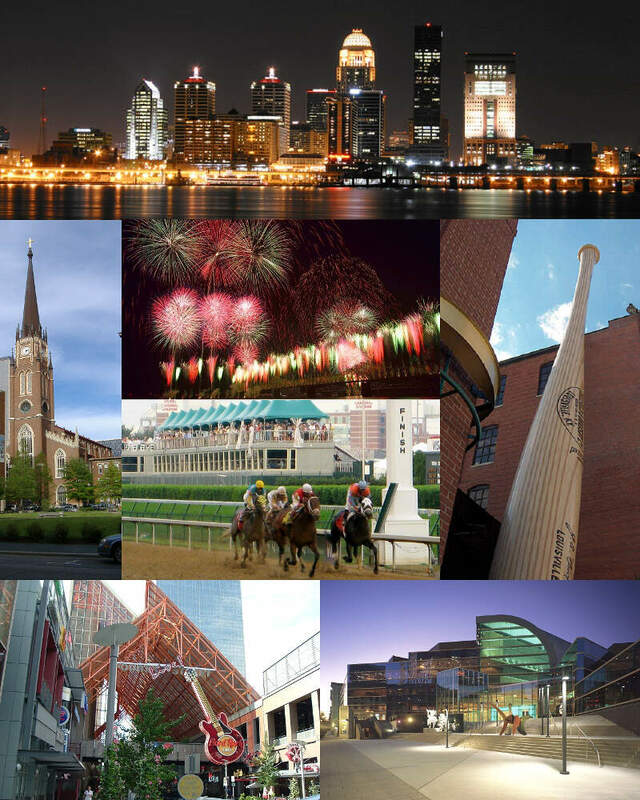 Louisville is a bustling city with many food and entertain attractions to visit. The food scene is very diverse, wonderful parks to go and walk around, and overall a very nice city to be in. My favorite place in Louisville is Water Front Park by the Ohio River, where they have the walking bridge where you can walk across the river to the Indiana side. It is very beautiful at night and safety is always first for the city. 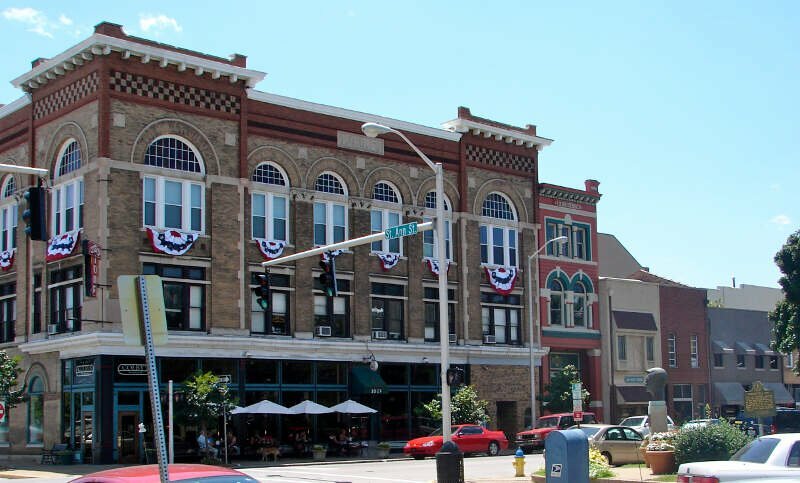 Paducah is the smallest city to make this list, mostly due to the instances of violent crime increasing between 2015-17, leaving residents a 1 in 303 chance of being the victim of violence in 2017. Additionally, from 2015-17 property crime increased, but that fact has a lot less to do with Paducah’s spot on this list than the city’s violent crime rate. 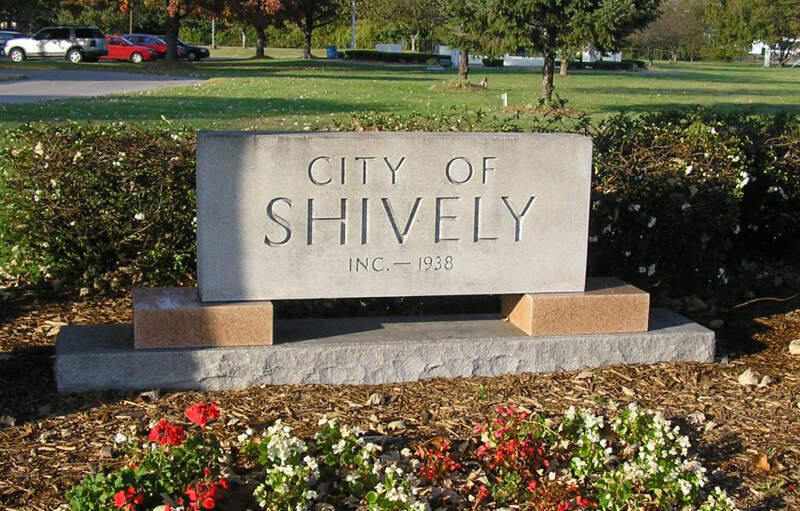 A suburb of Louisville, Shively is the 4th most violent place in Kentucky, though its decent property crime statistics keep it off the top of this list. And things have only been getting worse in terms of violence — the 1 in 243 chance of being the victim of a violent crime in 2017 represented an 11% increase from 2011. Property crime fell by nearly the same percentage, but that doesn’t seem like a very good trade. Bowling Green ranks in the top 6th worst rates of violent and property crime in the state. Residents of Bowling Green faced a 1 in 294 chance of being the victim of violence, a rate which steadily increased from 2015-17. Property crime did drop by a modest amount during this interval though. 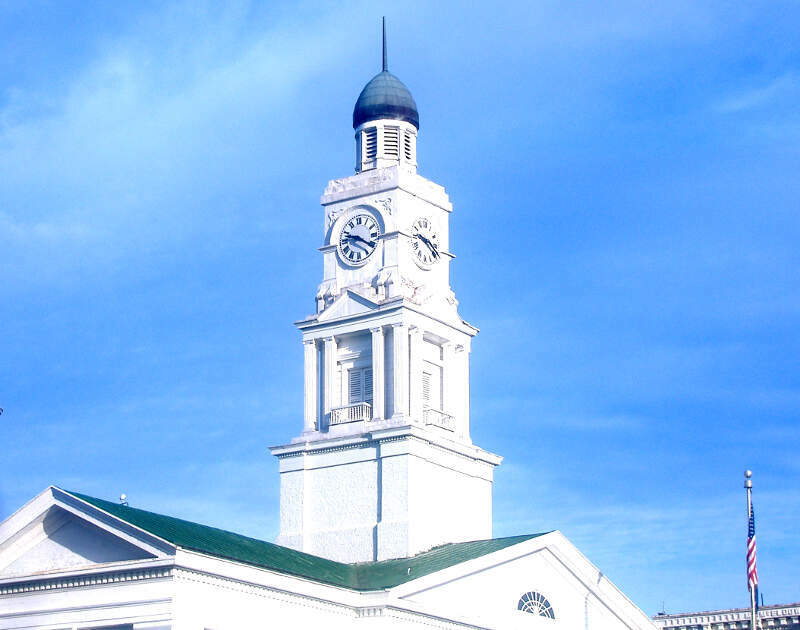 Located 24 miles east of Lexington, Winchester’s motto is Rich in History and Ready for the Future. That’s a pretty accurate way to describe their violent crime numbers — a rich history of violent crime that’s been reformed in recent years. This city’s violence has dropped recently and maintained into 2017. To give some perspective into how impressive this improvement is, consider how in 2011, Winchester residents faced a 1 in 128 chance of being the victim of violence which compares to a 1 in 450. Owensboro ranks as the 8th most dangerous city in Kentucky. The Owensboro ranks as having the 12th highest violent crime rate and 10th highest property crime rate. 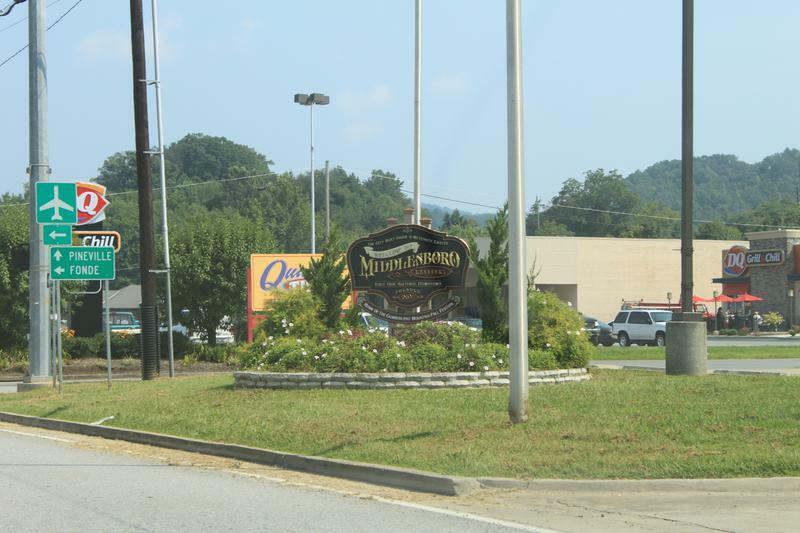 The largest city in southeastern Kentucky, Middlesboro is inside what scientists believe to be an enormous meteor crater. While that’s pretty cool, the 1 in 16 chance residents face of being the victim of theft or arson each year is definitely not. The good news for Crater City is that both property crime and violent crime fell by more than 10% between 2015-17. You have a 1 in 26.4 chance of being the victim of a property crime in Lexington and a 1 in 284 chance of being the victim of a violent crime. Great small university centric city with just enough shopping, activities, and nightlife to keep folks of all ages entertained. Living within New Circle Road is ideal for quick transit times. Avoid the mall around Christmas time. 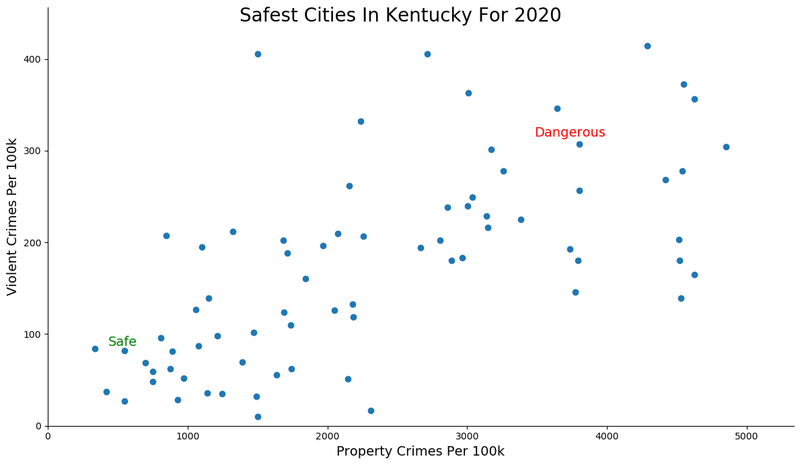 How we determined the most dangerous cities in Kentucky for 2019? In order to make the analysis as apples to apples as possible, we only considered cities over 5,000 in population. That left us with 74 cities in Kentucky. We then ranked each city from 1 to 74 for the two criteria with a #1 ranking being the most dangerous for the particular criteria. Finally, we ranked every city on the “Dangerous Index” with the lowest index being the most dangerous in Kentucky — Oak Grove. 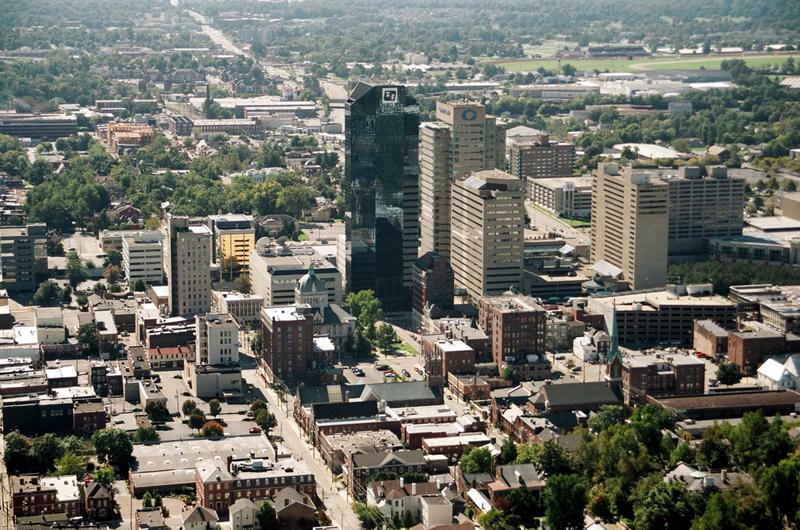 Read on for a detailed look at the 10 most dangerous cities in Kentucky. The latest FBI crime data shows that Oak Grove ranks as the most dangerous city in Kentucky for 2019. We want to point out again that there’s still safes places in Oak Grove and that this isn’t a comment on the people that live there. So please don’t beat us up. Where Are The Most Dangerous Cities In Kentucky? Your website is a MUST for anyone searching for properties when moving to another town or state within the USA. I fell in love with an old colonial home but, once I did more research and found this site, I learned it was one of ten worst cities within the state for crime, poverty, and other issues that would have made that move a really bad choice. Thank you…your site is on my favorite toolbar!